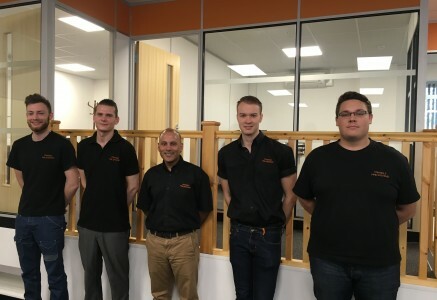 Triangle Fire Systems are pleased to have welcomed 5 new employees to our Hastings Head Office over the last few months. 3 of the new employees have joined our residential design team ; Chris Boot, Theo Chantler, and Declan Rogers as Junior Design Engineers, they are helping to support our Design Managers with their increasing workload as we continue to secure a high volume of new contracts. Matt Tappenden has joined as Accounts Assistant to support our Finance Director across all aspects of the finance department. We have also welcomed Ajmal Ali as Contracts Administrator. Ajmal is responsible for providing administrative support to the design and engineering departments. We are delighted to have them all on board.